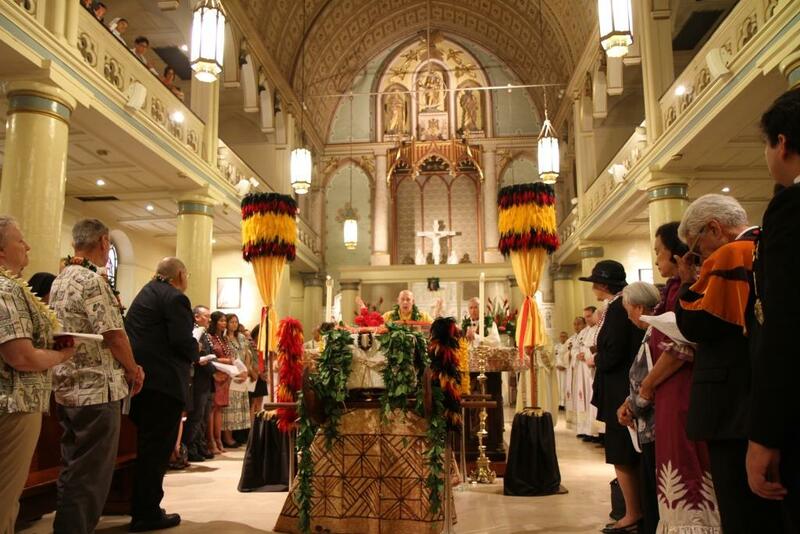 Amid great ceremony St. Marianne Cope returned to Hawaii on July 27, and on July 31 her mortal remains were enshrined at the Cathedral Basilica of Our Lady of Peace in Honolulu. 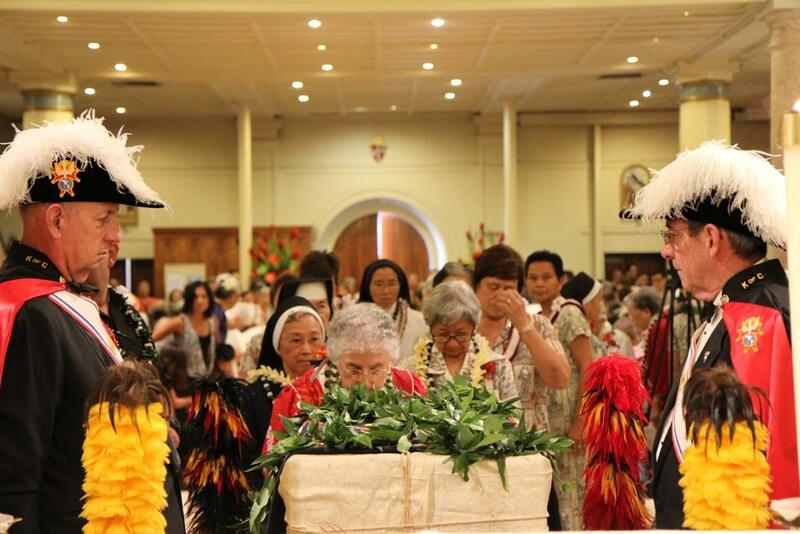 St. Marianne’s Cope mortal remains were accompanied to Hawaii by Sisters Roberta Smith, general minister and Geraldine Ching, assistant general minister. 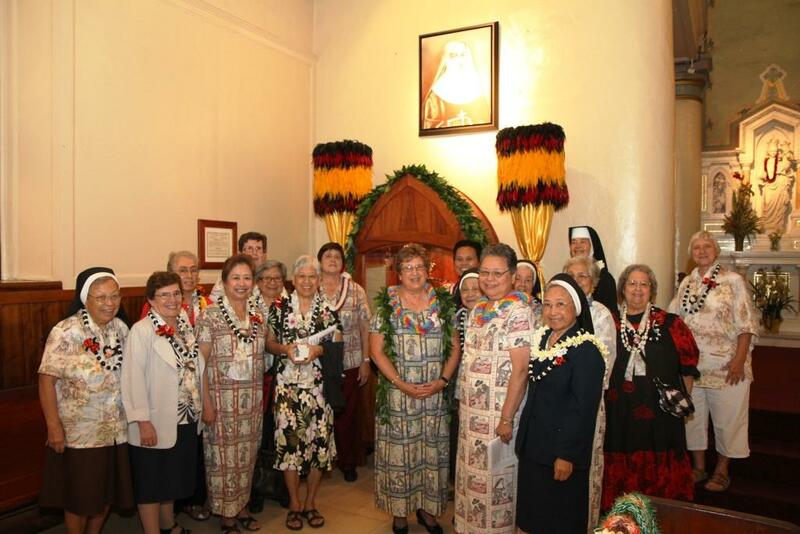 They were welcomed by the sisters from Hawaii who sang Hawaiian songs and greeted them with leis. St. Marianne, the first Franciscan woman to be declared a saint, is also the only saint to be laid to rest in a cathedral. 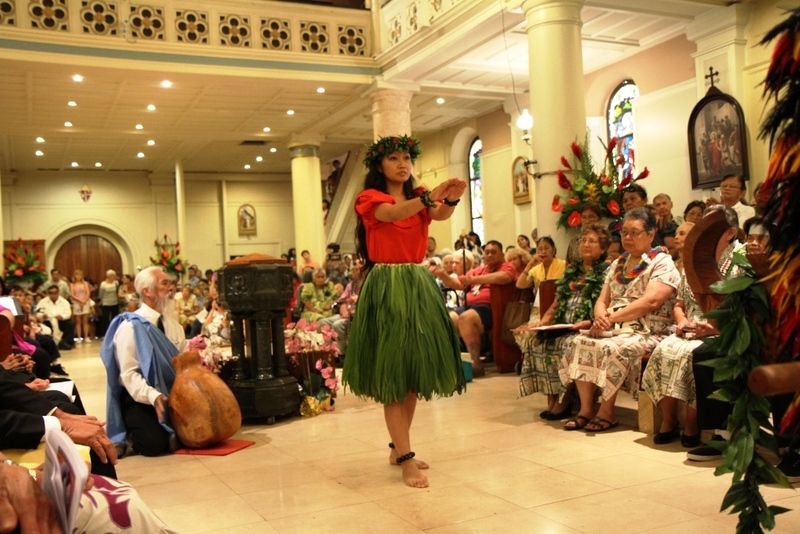 She had been in Syracuse since 2005 when her remains were moved from her resting place in Kalaupapa for her beatification. The subsequent closing of the convent and chapel in Syracuse required sisters to relocate her remains. Pictured above, Sister Pat Rapozo kisses the relic of St. Marianne. Bishop Larry Silva leads the Mass. 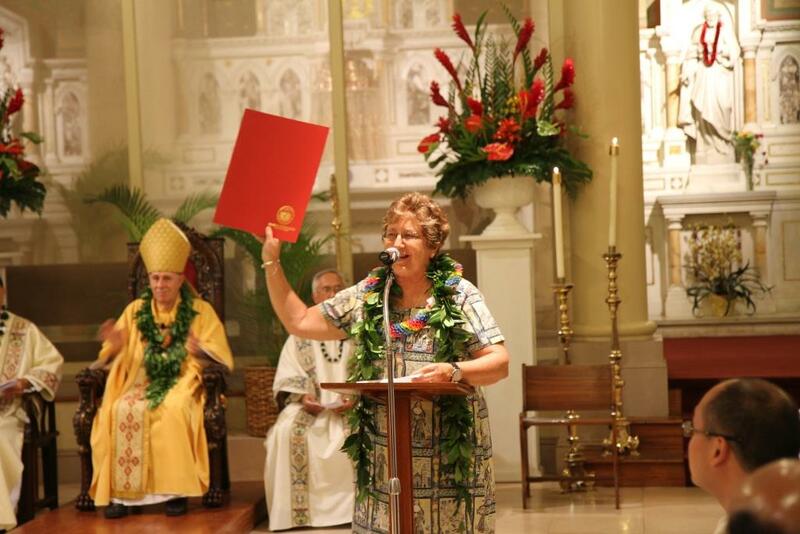 Sister Roberta Smith holding the certificate presented to the Sisters of St. Francis of the Neumann Communities and Bishop Larry Silva by legislators. A dancer from Ka Pa Hula Hawaii Halau performs a hula honoring King Kalakaua. Sisters of St. Francis after the enshrinement ceremony.